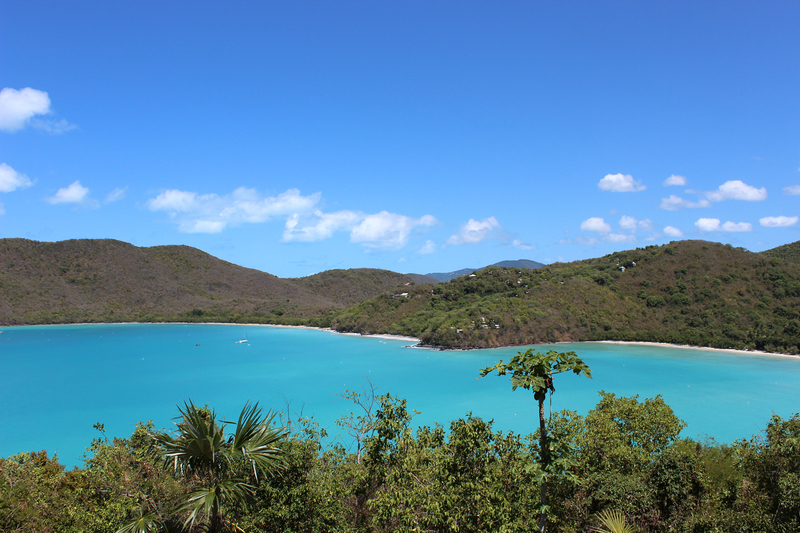 As far back as Thursday we’d been planning how best to visit Trunk Bay (see map). Regularly listed as one of the most beautiful beaches in the world, it can receive upwards of 1,000 visitors a day. Ultimately, we decided to go as early as possible on Monday morning. 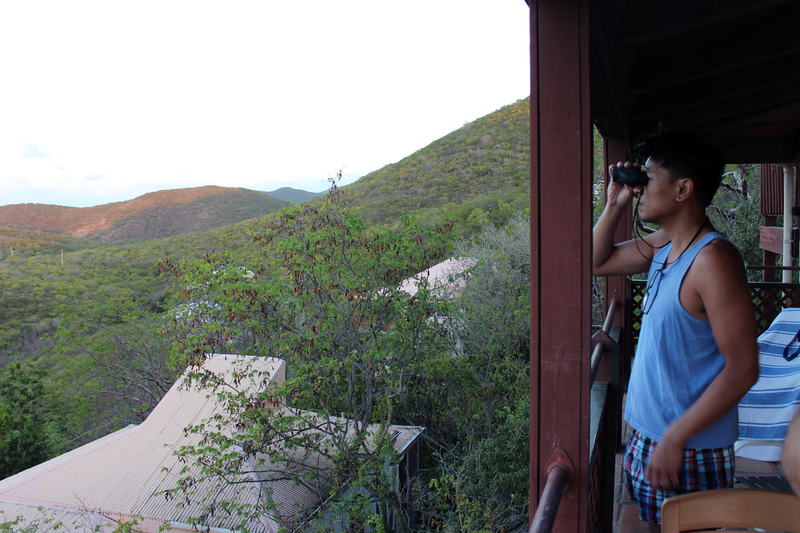 We were keen to check out the underwater snorkeling trail the National Park Service has installed there. 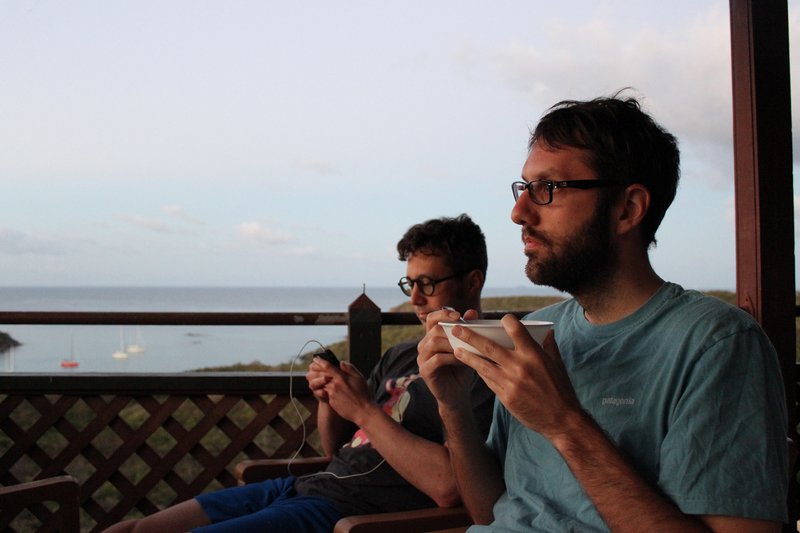 We woke before 6:30am on Monday, March 11 and breakfasted while the sun rose. 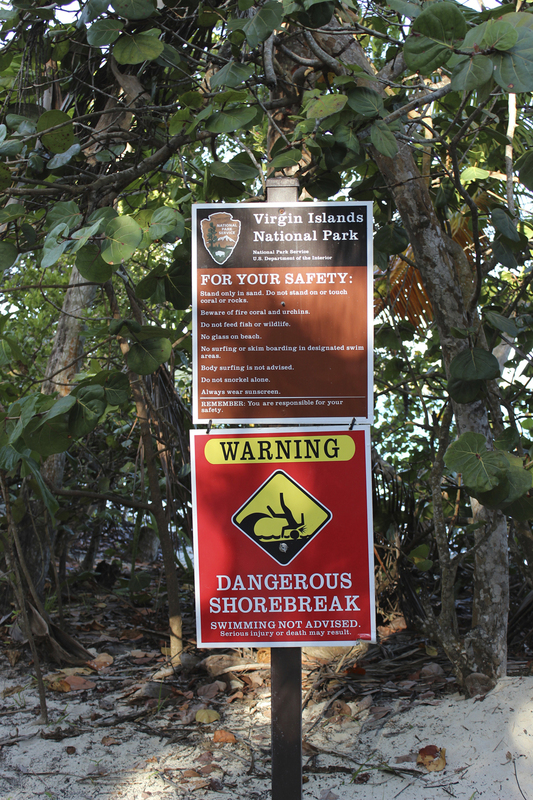 Phil, who was able to access wifi, noted that there were surf warnings, but we paid the news little heed, particularly since Salt Pond Bay and Drunk Bay were calm. 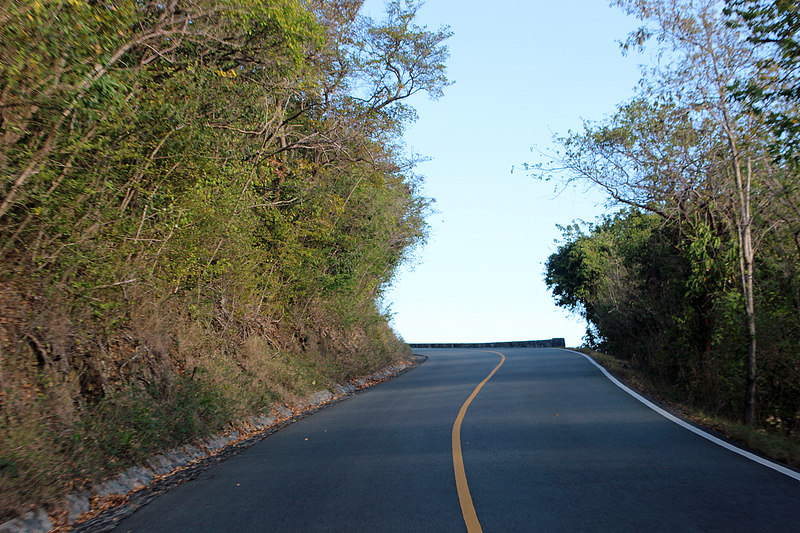 Soon we were in the Jeep and headed toward Trunk Bay on North Shore Road. When we arrived, the parking lot was virtually empty, and I was able to get the perfect parking space right at the exit. There was good reason: the red flag was flying indicating that the surf was too dangerous for swimming. 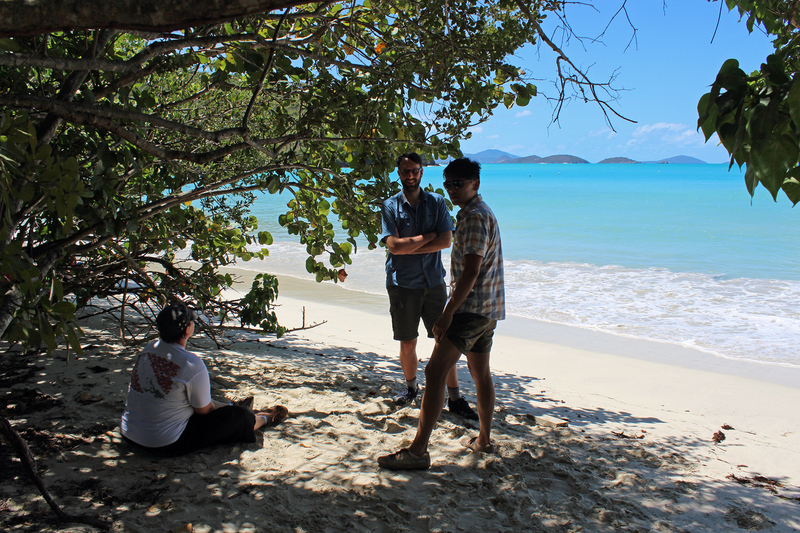 We had a brief look at the beautiful, abandoned beach and continued on to Cruz Bay. 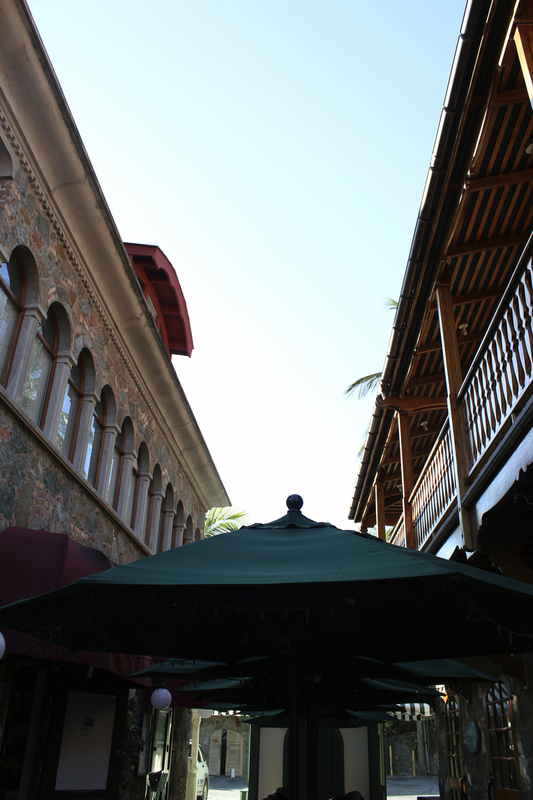 It was too early for breakfast at Sun Dog Cafe, the place we’d had lunch on Thursday, but we found a coffee shop, Deli Grotto, at Mongoose Junction, near where the Friends of the Park Store was located. 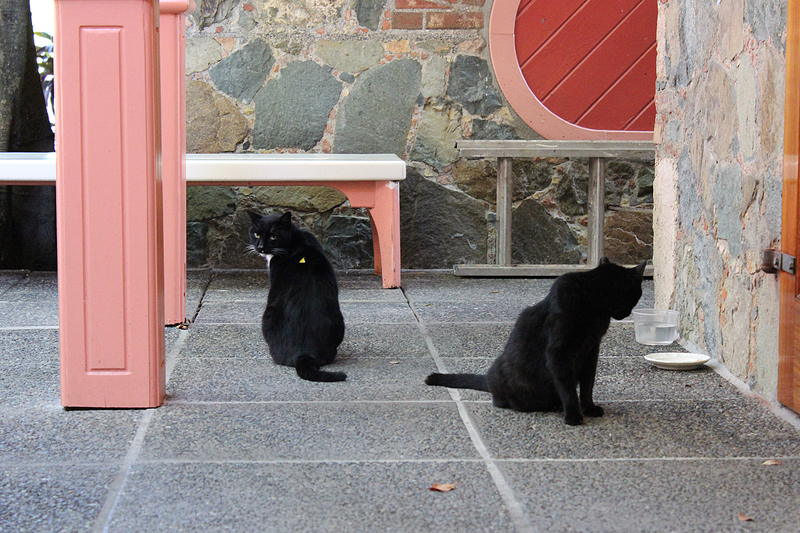 Bush cats at Mongoose Junction. 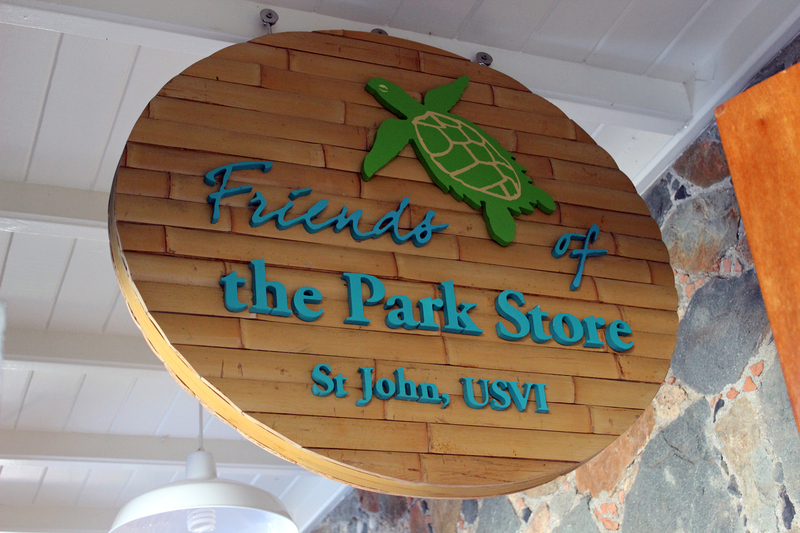 Once they opened, we visited the Friends of Virgin Islands National Park store and the Visitor Center for our final souvenir purchases: books, t-shirts, books, stamps, books, postcards, a stuffed sea turtle, books. 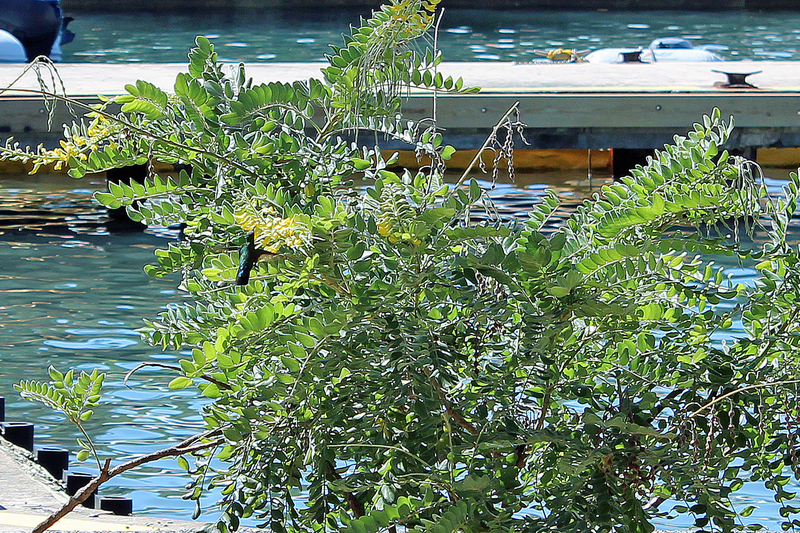 Green-throated Carib Hummingbird near the visitor center. 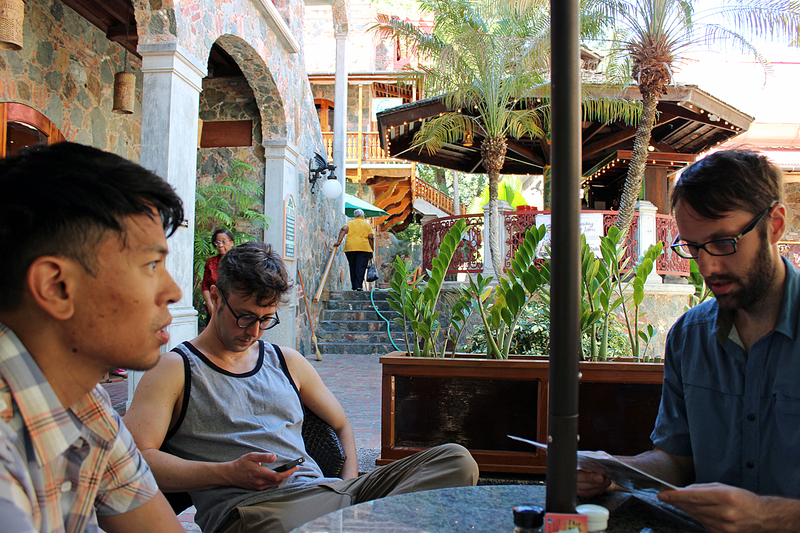 We had always intended to have lunch in Cruz Bay, do our final souvenir shopping, and then visit the Annaberg plantation on the way back to Concordia. 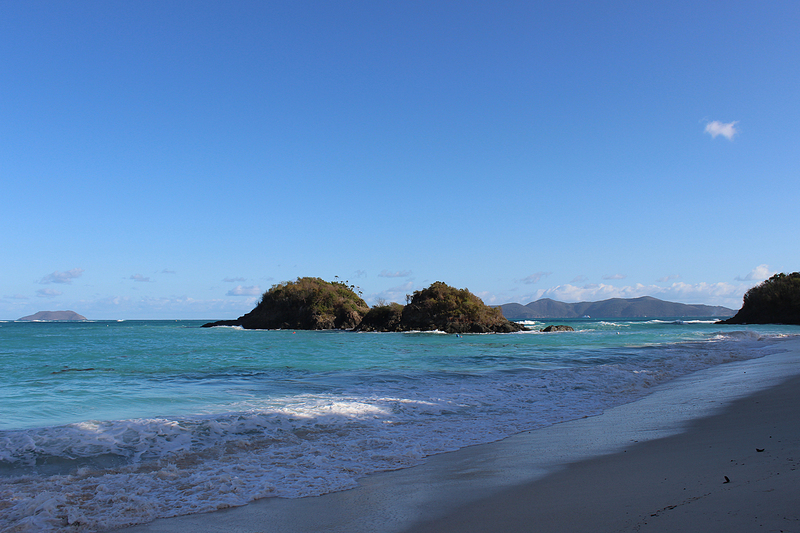 Without being able to swim at Trunk Bay, we were now running about an hour ahead of what we’d planned. 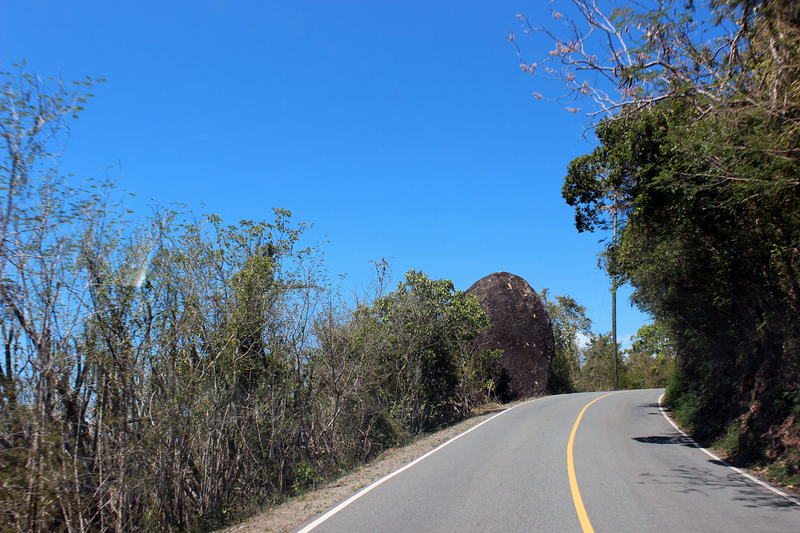 After lunch at Sun Dog and a bit more shopping, we headed out on North Shore Road toward Annaberg, which was not too far past Maho Bay. Maho Bay from the overlook to its southeast. 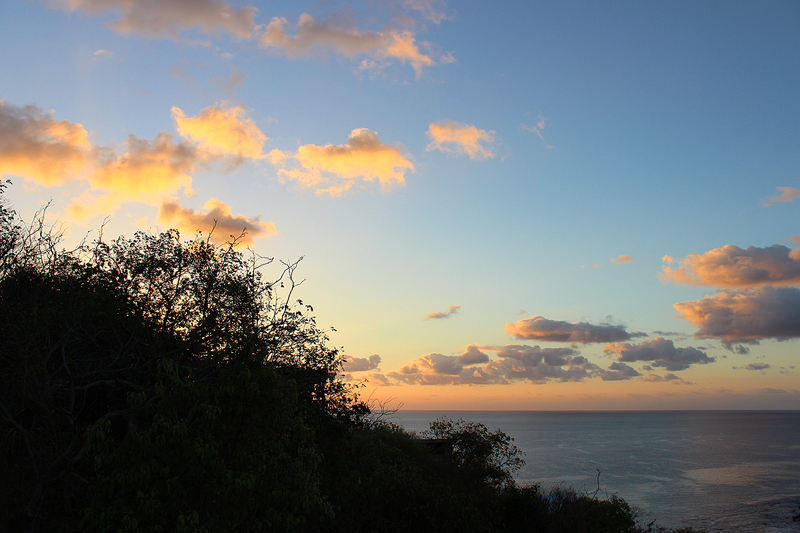 The white roofs on the middle hill are the Maho Bay eco-tents. 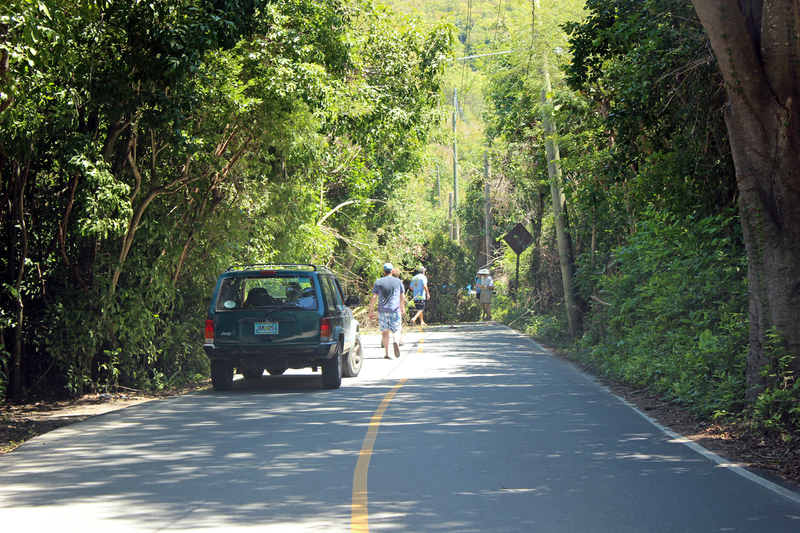 After we passed Maho Bay beach, we turned the corner to discover a tree blown across the road by the morning’s gusty winds. We turned around and pulled into Maho Bay’s parking lot. 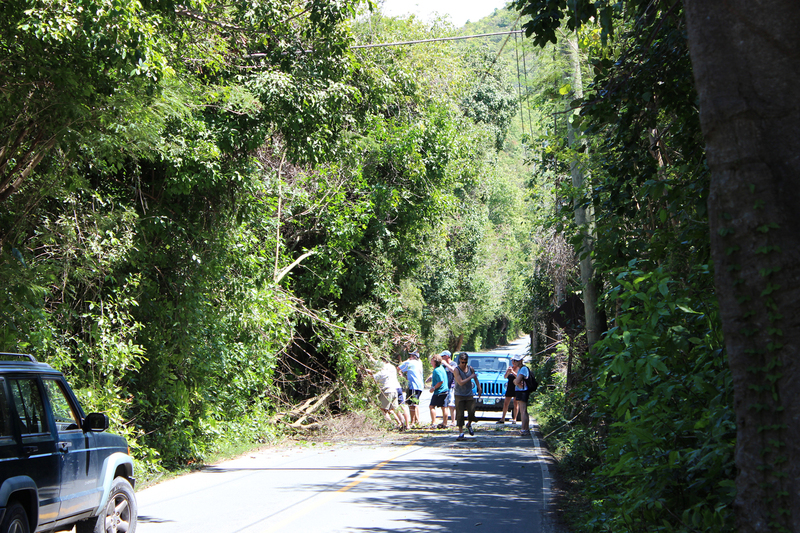 Phil didn’t hesitate to help a group of men, from both directions, who shoved the tree off the road and cleared enough debris that vehicles could pass in at least one lane. 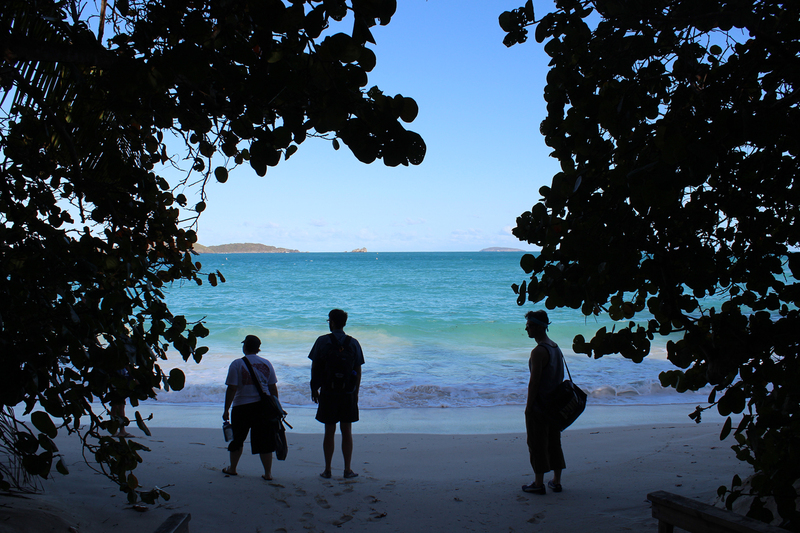 While waiting for the line of traffic that had formed to move along, we had a very brief visit to Maho Bay. Then it was on to Annaberg. This entry was posted in Journey and tagged Virgin Islands on April 10, 2013 by Brandon Hayes.